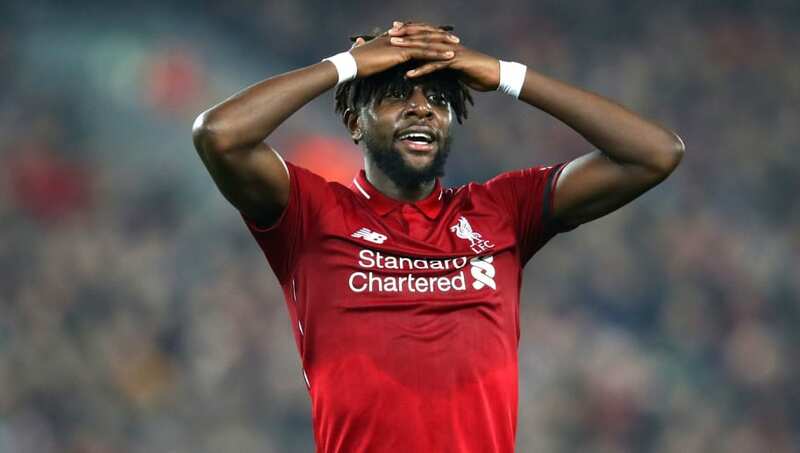 If you told a Liverpool supporter at the start of the season that the oft-maligned Divock Origi would end up playing an important role in the Reds' pursuit for a first Premier League title, then they would have immediately walked away questioning your own sanity. But, against all the odds, Origi has become Jurgen Klopp's go-to man off the bench at the business end of this season, jumping ahead of both Daniel Sturridge and Xherdan Shaqiri in the pecking order at Anfield - two players who enjoyed stellar starts to the campaign. If the recent rumours are true, Klopp has been blown away by the Belgian forward's on-field performances as well as his attitude in training and, as a result, is ​willing to offer him an extended contract at ​Liverpool. While ​Origi is far from an automatic starter, nor is he ever likely to be, he has more than proved his worth this season and the decision to tie him down for a few more years could prove to be a shrewd piece of business for the Reds. Sentimentally, Origi is always likely to hold a place in Liverpool supporters' hearts after he scored what is arguably the most pivotal goal of the Reds' season thus far. Taking advantage of a bizarre piece of goalkeeping from Jordan Pickford, the 23-year-old nodded home a dramatic winner in an otherwise frustrating Merseyside Derby - his first Liverpool strike for over 18 months. That win acted as the catalyst for a superb run of form for the Reds over the Christmas period, sending them to the top of the Premier League table by the turn of the year. But, in the cut-throat world of modern football, sentiment can only get you so far. Origi had to ensure that he kicked on from that remarkable cameo performance, making the most of every opportunity he was afforded. Considering the limited number of minutes he's been given in 2019, it's hard to argue that he hasn't done just that. He's found the back of the net in the two matches he's started against Wolves and Watford and has offered a different dimension to Liverpool's attack (either out wide or through the middle) in the closing stages of a number of Premier League games where they were otherwise struggling. If Liverpool are able to negotiate a new deal for Origi, then it will certainly be under the caveat that he will remain a rotational forward behind the likes of ​Roberto Firmino, ​Mohamed Salah and ​Sadio Mane - but that isn't to say that he won't get a fair crack of the whip. Sturridge and Danny Ings are more than likely to leave the club this summer as their respective Liverpool careers have seemingly come to a natural stopping point, while young starlet Rhian Brewster is only just returning from a long-term injury and is highly unlikely to be ready for first team minutes next season. It would come as a surprise if Liverpool didn't look to bolster their attacking options in the summer transfer window, but that doesn't necessarily mean that Origi will be pushed completely out of the picture. His ability to play right across the forward line, either out wide or straight through the middle makes him a viable alternative for any one of Liverpool's starting front three - something Klopp has clearly recognised in 2019. Liverpool's poor domestic cup performances over the past few seasons has meant that rotation hasn't always been a necessity for the Reds, but it doesn't take an awful lot to change that. And, if Liverpool are to continue their rise to the top of English football, then they'll have to improve in that department - which could give a number of fringe players that opportunity to shine. More than happy for Origi to stay. Very decent squad option and done absolutely nothing wrong when called upon. Forgetting everything else, the most important factor in the debate surrounding Origi's position is that Klopp is a huge admirer. Time and time again, the German coach has made judgement calls that Liverpool have reaped the benefits from, so whose to say that he hasn't assessed this situation perfectly? As it stands, it looks as though the only person who could prevent the contract being agreed is Origi himself. He is, of course, well within his rights to pursue regular first team minutes elsewhere, but the opportunity to extend your stay at one of the world's biggest clubs isn't something to be sniffed at.